An earthquake has struck a scattered Highland community. 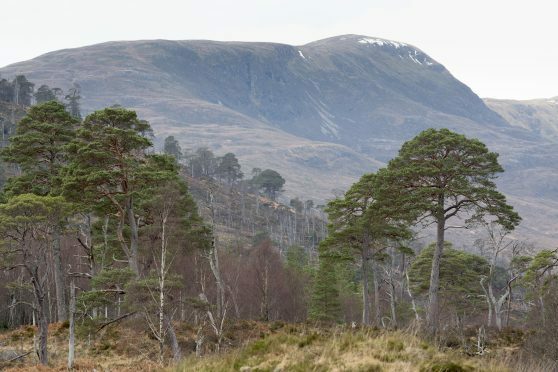 The 2.0 magnitude tremor recorded by the British Geological Survey (BGS) was felt at Spean Bridge. The incident happened at 8.08pm on Friday and its epicentre was three miles west of the iconic Commando Memorial. The BGS confirmed the tremor was felt by a number of people, but was unlikely to have caused any structural damage. Scotland has been battered by more than 4,000 earthquakes over the past 50 years. The strongest in that period was a 4.4 magnitude tremor on the Knoydart Peninsula in 1974. There have been a number of tremors throughout Scotland in the last few months as the Earth’s crust moves under pressure. The largest known Scottish earthquake was near Loch Awe in 1880, with a magnitude of 5.2. The strongest ever to hit the UK had a magnitude of 6.1, in June 1931 in the North Sea. It was felt across most of Britain with damage reported at more than 70 locations. There were at least 1,500 earthquakes recorded in Edinburgh and the Lothians over the last 50 years. The largest Scottish tremor was near Loch Awe in 1880, with a magnitude of 5.2. The most damaging UK earthquake was in the Colchester area in 1884. Some 1,200 buildings needed repairs. Chimneys collapsed and walls were cracked. There are between 200 and 300 quakes in Britain each year, but the vast majority are so small no-one notices them. However, between 20 and 30 are over 2.0 magnitude which can be felt over a wider area. Earthquakes in Scotland are most often attributed to glacial rebound. Until about 10,500 years ago, much of the north of the UK was covered by a thick layer of ice which pushed the rocks down into the underlying mantle. Those rocks have been slowly rising since the ice melted causing occasional earthquakes in the process. The UK is also subject to tectonic stresses caused by the expansion of the Atlantic Ocean, which is slowly pushing Eurasia to the east, and from the northward motion of Africa which is pushing into Europe from the south.